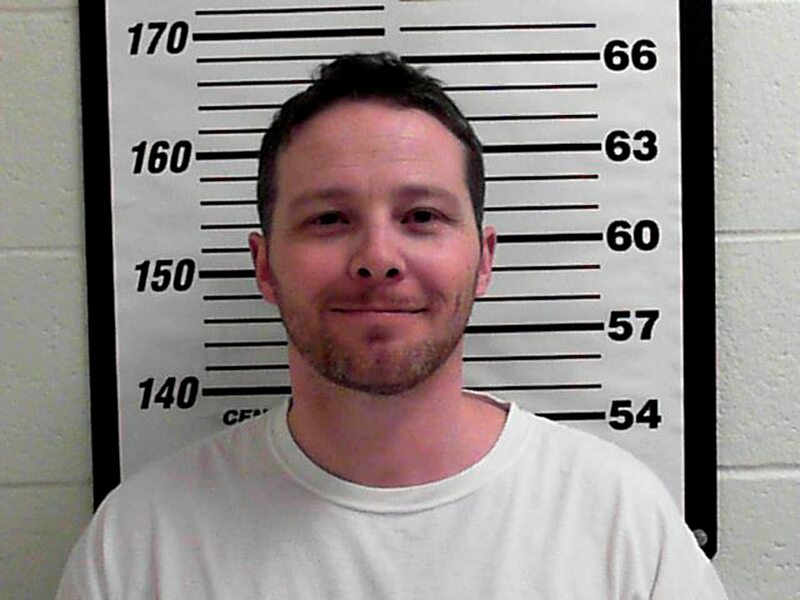 A Navy veteran from Utah was arrested Wednesday in connection with packages suspected to contain ricin that were mailed to Pentagon and Navy leadership on Monday, the U.S. Attorney’s Office for Salt Lake City confirmed to Military Times. William Clyde Allen III, 39, was arrested late Wednesday and taken into custody, said U.S. attorney’s office spokeswoman Melody Rydalch. A former enlisted sailor who spent four years in the Navy nearly two decades ago, Allen is expected to be formally charged Friday, Rydalch said. The envelopes of castor seeds, the base of a deadly toxin, were addressed to Defense Secretary James Mattis and Chief of Naval Operations Adm. John Richardson, defense officials said. The parcels triggered alarms Monday during security screening at a mail processing center that is on the Pentagon campus, but not inside the building. Allen’s Navy service record offers basic insight into his time in uniform. He enlisted in October 1998 and left the service four years later in October 2002 at the rank of E-2, according to a record provided by Navy officials. He was a damage control fireman apprentice, and put on that rank in March 2002, the service record shows. His assignments included 17 months aboard the combat support ship Supply, and about 15 months aboard the support ship Detroit. Before that, he attended the Damage Controlman "A" school at Naval Station Great Lakes in Illinois, according to records. Records show Allen received the Navy “E” ribbon twice, a unit-wide commendation. He also was awarded a National Defense Service Medal and two Sea Service Deployment Ribbons, which are largely standard issue. Allen’s official service record lists him as being discharged as an E-2, with a date of rank just seven months prior to his discharge. That most likely indicates he was reduced in rank on that date. Allen registered as an E-4, damage controlman 3rd class, on the 2001 crew roster of the Detroit on the website navysite.de, which maintains crew rosters from many Navy ships. This would indicate he was most likely busted twice before exiting the Navy on Oct. 27, 2001. The two packages were intercepted by the Pentagon’s mail screening facility. A third package addressed to President Donald Trump was mailed to the White House, but was intercepted by the Secret Service. Ricin is derived from castor beans, which can be harmful if ingested, according to the U.S. Centers for Disease Control and Prevention. When weaponized by a terrorist or other agent, people can be exposed to the poison via the air, food and water, according to the CDC. In an impromtu press conference in Logan, law enforcement officials said the address in question was 308 N. 200 West Logan, Utah. 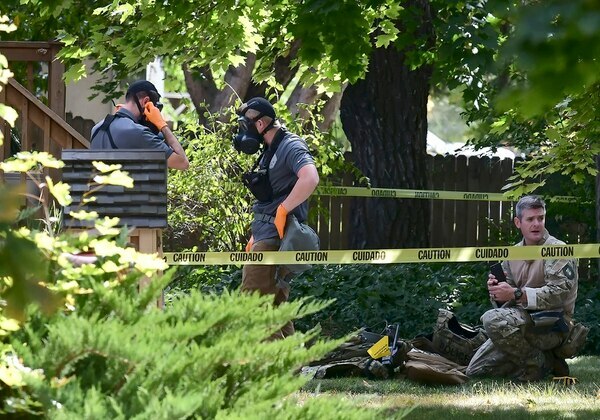 “As there are potentially hazardous chemicals involved, we ask that the public stay away from this location during the entirety of the operation," a local official told media, according to a tweet from a crime reporter on scene. Logan police department spokesman Capt. Tyson Budge confirmed the tweeted feed’s authenticity. According to the website “Counter Domestic Terrorism” Allen has harassed female veterans online through his Facebook account. Military Times was unable to immediately verify those allegations. Navy Times senior staff writer Mark D. Faram contributed to this report.